Welcome to the press archive: the location where you can find a compilation of the latest and most recent press releases and gaming updates from a variety of different established publishers and developers from around the world. June 12, 2013 - On Friday June 14 a special Nintendo 3DS bundle will be available at participating Walmart stores across Canada. 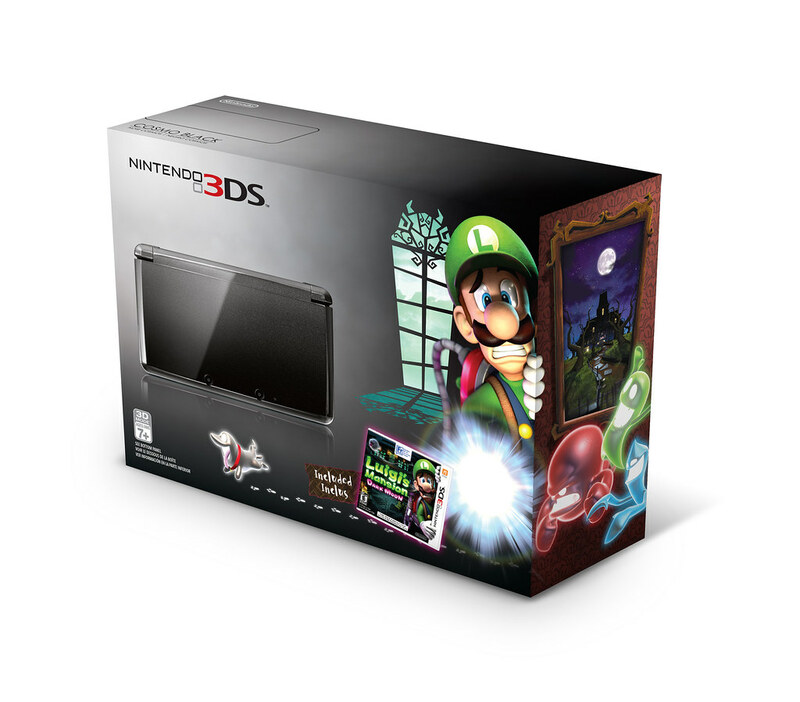 This bundle will include a Cosmo Black Nintendo 3DS portable gaming system and a packaged version of the Luigi’s Mansion: Dark Moon game at a suggested retail price of $179.99 ($30 savings off the suggested retail price if purchased separately). This promotional price will be effective June 14-20 (June 14-18 in Quebec) after which the price will change to a suggested retail price of $189.99 ($20 savings off the suggested retail price if purchased separately). This bundle is an exclusive to Canada, available only at Walmart, in-store and online (while supplies last). Luigi’s Mansion: Dark Moon launched exclusively for Nintendo 3DS on March 24, 2013, and is the sequel to 2001’s much-loved Luigi’s Mansion featuring more mansions, more ghosts and more Luigi! This year is the “Year of Luigi” and will see many game launches with Mario’s timid, younger brother. For more information about Luigi’s Mansion: Dark Moon, visit http://luigismansion.nintendo.com. Minneapolis, MN, June 7th, 2013 – Big Bass Arcade: No Limit from Big John Games will release June 13th, 2013 on the Nintendo 3DS™ for $6.99 in the Nintendo eShop. 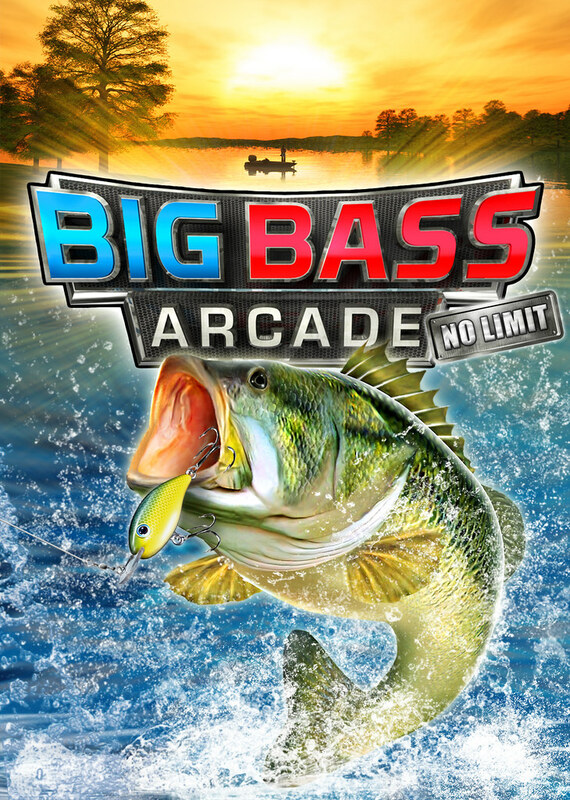 Big Bass Arcade: No Limit picks right up where previous best-selling fishing games developed by Big John Games left off, including Big Bass Arcade for the Wii™ and Nintendo DSi™, Zebco 3D Pro, FLW Professional Bass Tournament, USA Bass, and Trophy Bass 2007 for PC and XBOX. These successful fishing action games have combined sales of over one million units to date! Big Bass Arcade: No Limit is loaded with fishing excitement, putting players directly into the action as they reel in the big one. Big John Games leverages 17 years of fishing game experience to bring you incredibly life-like fish behaviors, spectacular animations, and 3D effects. Full of new features, Big Bass Arcade: No Limit includes 7 fish species, 10 unique lakes, 9 lures, 32 multi-lake tournaments, 50 challenges, free fishing, and a deep variety of fish size, weight and behavior. Reel in Largemouth Bass, Smallmouth Bass, Walleye, Muskie, Northern Pike, Bluegill, and Crappie. High scores and achievements are tracked for every event on your quest to pull in that elusive World Record Fish. Test your skills in over forty fishing challenges spread over ten unique lakes. The lakes are stocked with ever-growing World Record fish waiting for you to reel them in. Compete in multi-lake tournaments or free fish any lake at your own pace. Big Bass Arcade: No Limit appeals to fishing enthusiasts and gamers alike by capturing the adrenaline rush of fish fighting in an arcade-style game. Big Bass Arcade: No Limit is rated “E” and will be available for download from the Nintendo eShop on Nintendo 3DS for $6.99. Be sure to check out the game on June 13th, just in time for Father’s Day (US). It belongs in your Nintendo 3DS 'tackle box’. For more information, including the Big Bass Arcade: No Limit trailer and screenshots, visit http://www.bigjohngames.com/games/big-bass-arcade-no-limit. Big John Games is an independently owned video game development studio located in Edina, Minnesota. Its team of game designers, engineers, artists, and animators are dedicated to developing great games for all audiences. Over the years, the Big John Games staff has partnered with leaders in the game publishing industry to produce numerous successful video entertainment products. Big John Games is proud to be an authorized developer for the Nintendo DS™, Nintendo 3DS, and Wii systems. Want to know more about Big John Games? Check out their website at www.bigjohngames.com. VANCOUVER, B.C., June 6, 2013 – The gates of Animal Crossing: New Leaf will open when the game launches for the Nintendo 3DS system on June 9, inviting residents to move in and, in a series first, become mayors of their own personalized towns. Animal Crossing: New Leaf is based on the real-world calendar – no two days in the game are the same – and includes features new to the series like customizing specific pieces of furniture, visiting a tropical island, swimming in the ocean and even sharing personalized homes with friends. "Residents of Animal Crossing have never had it so good," said Ron Bertram, Nintendo of Canada’s vice-president and general manager. "With a host of new features and a game that changes every day, players will find themselves visiting Animal Crossing: New Leaf for a long, long time." As mayors of their towns, players make decisions that will directly affect how their towns grow and function. Players can set ordinances, such as keeping their shops open later if they find themselves playing the game mostly at night, and also select public works projects to build, including bridges, benches, streetlamps and clocks. In addition to being mayor, players are also residents, and can earn money to spend at local businesses on Main Street, get to know their neighbours and collect myriad items like insects, fish, fossils and fruit, some of which can be donated to the town museum for visitors to admire. Once players get accustomed to their new life in the town, Tortimer, the town's former mayor, will visit and invite them to the tropical island where he now lives. The tropical island is a new feature in Animal Crossing: New Leaf that lets players search for unique items and take mini-vacations with up to three other friends who also own the game. While visiting the island, they can participate in a tour featuring a fun mini-game. They can even rent a wetsuit and dive into the ocean to catch underwater creatures or just leisurely swim around and enjoy the sights. Animal Crossing: New Leaf expands on the remarkably deep customization that fans love. 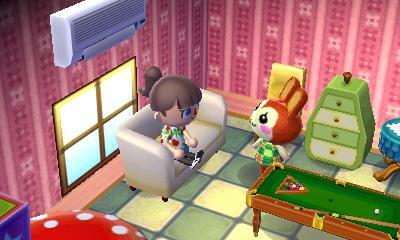 Like previous Animal Crossing games, players can customize almost everything in the game, including their homes' interior design and clothes, as well as patterns for clothing, wallpaper and carpets. But in this game, players can also adjust the specific look of thousands of individual pieces of furniture, including new types of wall items like clocks, shelves and lamps, and decorate the exterior of their houses with new mailboxes, doors, façades and stepping stones. Players can even create custom fashion designs at the Able Sisters' Tailor that can be turned into QR Code patterns to be shared with others. The amount of customizable options is nearly endless. Players can play locally with other Animal Crossing: New Leaf fans who also own the game, share Friend Codes to travel to other players' towns, go on a tropical island tour via a wireless broadband Internet connection with friends or up to three other random players from all over the world, or tag fellow players using the StreetPass feature to add their personalized houses to the Happy Home Showcase. Animal Crossing: New Leaf is constantly evolving and changing. Certain items can only be found at a certain time of day, and certain events can only be experienced during special in-game holidays on the calendar. There's something new to do every day in Animal Crossing: New Leaf. Also releasing on June 9 is a special Nintendo 3DS XL system featuring designs from Animal Crossing: New Leaf that comes pre-installed with the new game, which is perfect for players who want to check on their bustling towns without having to carry around a Game Card. The charming system will retail for a suggested retail price of $219.99 at Best Buy (in-store and online). For more information about Animal Crossing: New Leaf, visit http://www.animal-crossing.com/newleaf. About Nintendo: The worldwide pioneer in the creation of interactive entertainment, Nintendo Co., Ltd., of Kyoto, Japan, manufactures and markets hardware and software for its Wii U™ and Wii™ home consoles, and Nintendo 3DS™ and Nintendo DS™ families of portable systems. Since 1983, when it launched the Nintendo Entertainment System™, Nintendo has sold more than 4.1 billion video games and more than 654 million hardware units globally, including the current-generation Wii U, Nintendo 3DS and Nintendo 3DS XL, as well as the Game Boy™, Game Boy Advance, Nintendo DS, Nintendo DSi™ and Nintendo DSi XL™, Super NES™, Nintendo 64™, Nintendo GameCube™ and Wii systems. 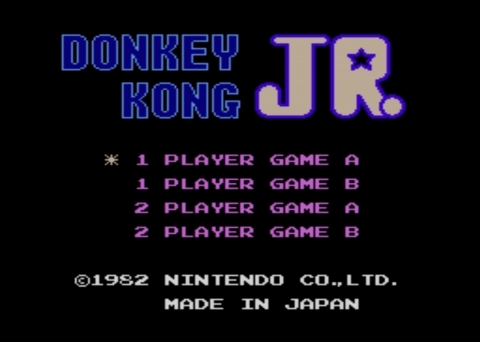 It has also created industry icons that have become well-known, household names such as Mario™, Donkey Kong™, Metroid™, Zelda™ and Pokémon™. A wholly owned subsidiary, Nintendo of America Inc., based in Redmond, Wash., serves as headquarters for Nintendo's operations in the Western Hemisphere. For more information about Nintendo, please visit the company's website at http://www.nintendo.ca. 20th May 2013, Barcelona, Spain. EnjoyUp Games announces Darts Up on Nintendo WiiU™. The ultimate darts game is now on Nintendo WiiU™. 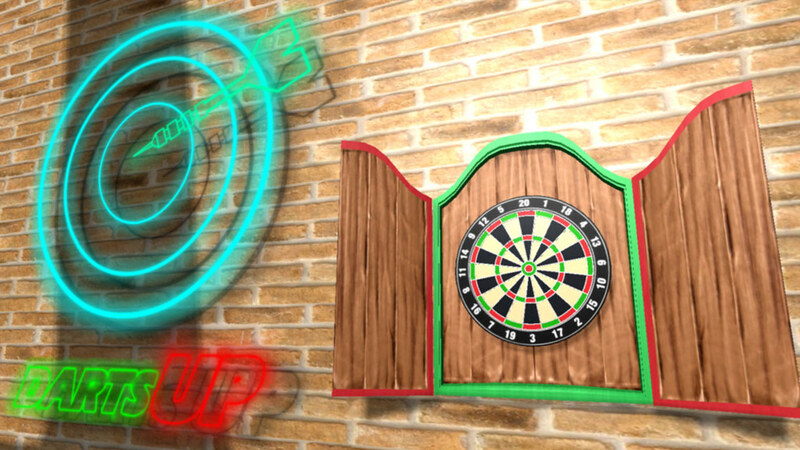 Darts Up is a fun game of darts in which you will have complete control over aiming thanks to the Gamepad motion sensor. You can play with your friends and family, up to a maximum of 4 Players, using the Mii™ to create your profile. Darts Up has several playing modes, including the famous 501. Use the Gamepad motion sensor to aim and view the surroundings. Create your own profile using the Mii™. Three playing modes, including 501! 9th May 2013, Barcelona, Spain. CoderChild & EnjoyUp Games today announces that Dress To Play: Magic Bubbles! will be released on Thursday 16th May 2013 on the Nintendo eShop for Nintendo 3DS™. In Dress To Play: Magic Bubbles!, dress to play and play to dress! Create your character and design their outfit in the dressing room, just as you like. When you are done, get ready to set off on an adventure, where you will have to catch as many bubbles as possible from the magic washing machine (which has many magical powers). The more you play, the more prizes and clothes you will receive to dress your character! Two games in one! Create and dress your character just as you like! Enjoy capturing bubbles from the magic washing machine! Many challenges and secret objects that will give you tons of accessories to dress your characters! Create many different characters, both boys and girls. There are thousands of combinations!! Two-player mode using the same Nintendo 3DS! Challenge your friends and beat them capturing magic bubbles! A beautiful world full of colour and with a 3D effect you will love! This videogame development studio has been founded in early 2011, by David Márquez de la Cruz, who has been working for more than a decade on important videogame companies. We are located in Barcelona, Spain. Our wish is simple: we want to make you happy and enjoy playing our games! 30th April 2013, Barcelona, Spain. CoderChild and EnjoyUp Games announces Dress To Play: Magic Bubbles! on Nintendo eShop service for America and Europe. The Nintendo eShop is accessible through the Nintendo 3DS system. VANCOUVER, BC, April 26, 2013 – The next major system update for Nintendo’s Wii U home console after launch is now available for download. The update delivers a host of new services and enhanced features, such as improved stability and performance, as well as faster load times when switching between applications. 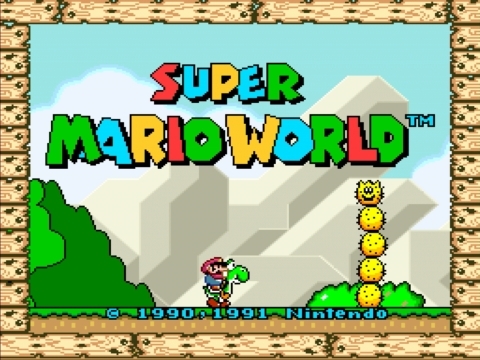 The update also lays the groundwork for the imminent launch of the Wii U Virtual Console service. Wii U owners also will soon see the launch of Wii U Panorama View. A library of quality classic games is planned for the Virtual Console on Wii U, with favourites such as Balloon Fight, Donkey Kong, Donkey Kong Jr., Excitebike, F-Zero, Ice Climber, Kirby’s Adventure, Kirby Super Star, Mario Bros., Punch-Out!! Featuring Mr. Dream, Super Mario Bros. 2, Super Mario World, Super Metroid and Yoshi on the way soon. Game Boy Advance and Nintendo 64 games are scheduled to be added in the future. Each game in the Wii U Virtual Console library has been developed to include off-TV play on the Wii U GamePad controller, customizable controls, Miiverse community support and the ability to instantly save game progress. NES games will cost $4.99 to $5.99, while Super NES games will cost $7.99 to $8.99. People who have already downloaded these games to their Wii System can transfer them to their Wii U consoles and play them in Wii Mode at no charge. To upgrade and take advantage of the improved Wii U features, they can purchase them at the special discount price of just $1 for NES games and $1.50 for Super NES games. Wii U Panorama View opens a window to the sights and sounds of some of the world’s most exotic destinations. Wii U owners use the GamePad controller to look in every direction to control an immersive 360-degree video guided tour as these destinations come to life from the comfort of your living room. Imagine catching all the sights during a tour of London on a double-decker bus or exploring the streets of Rio de Janeiro during Carnival. Wii U Panorama View will be available as a free downloadable demo from the Nintendo eShop and includes a sample of different experiences the application has to offer. The full versions of each individual video tour can be purchased for $2 each. About Nintendo: The worldwide pioneer in the creation of interactive entertainment, Nintendo Co., Ltd., of Kyoto, Japan, manufactures and markets hardware and software for its Wii U™ and Wii™ home consoles, and Nintendo 3DS™ and Nintendo DS™ families of portable systems. Since 1983, when it launched the Nintendo Entertainment System™, Nintendo has sold more than 4 billion video games and more than 651 million hardware units globally, including the current-generation Wii U, Nintendo 3DS and Nintendo 3DS XL, as well as the Game Boy™, Game Boy Advance, Nintendo DS, Nintendo DSi™ and Nintendo DSi XL™, Super NES™, Nintendo 64™, Nintendo GameCube™ and Wii systems. It has also created industry icons that have become well-known, household names such as Mario™, Donkey Kong™, Metroid™, Zelda™ and Pokémon™. A wholly owned subsidiary, Nintendo of America Inc., based in Redmond, Wash., serves as headquarters for Nintendo’s operations in the Western Hemisphere. For more information about Nintendo, please visit the company’s website at http://www.nintendo.ca. 26th April 2013, Barcelona, Spain. EnjoyUp Games announces Armageddon Operation Dragon on DSiWare™ and eShop service. All stars and planets in the cosmos eventually come to an end! An asteroid as large as the moon is headed directly towards Earth. The human race will face its Armageddon, unless you can stop it. There is no weapon powerful enough to destroy or even divert it from its Earth-bound trajectory. Only an amount of energy greater than what our sun produces could prevent it. That magnitude of energy is located outside of our solar system, at the 4 cardinal points of the galaxy. At those coordinates are the planets: Upsil-on, Magnet-on, Fusi-on and Dark-on. Visit each planet to collect the greatest amount of energy and the mission will be a complete success. Humanity will die out some day, but not this time! Be brave! It's in your hands to prevent it! 32 levels (4 planets with 8 levels each). Touch control and easy handling. Dress to Play: Cute Witches ! Edison, NJ - April 25, 2013 – Majesco Entertainment Company (NASDAQ: COOL), an innovative provider of games for the mass market along with Disney Interactive, announced today that Phineas and Ferb: Quest for Cool Stuff is expected to launch this August. Based on the top-rated Emmy Award-winning hit series, Phineas and Ferb: Quest for Cool Stuff will release on the Xbox 360® video game and entertainment system from Microsoft, Wii U video game system, Wii™, Nintendo DS™ and Nintendo 3DS™ from Nintendo. Majesco also plans to release a unique Phineas and Ferb smartphone and tablet game in August, which will feature Agent P and the rest of the O.W.C.A. (Organization Without a Cool Acronym). Join Phineas and Ferb as they travel to out-of-this-world places in their newest invention, the A.T.T. (All-Terrain Transformatron). This upgradeable, customizable, ultra-cool amphibious ride helps the boys hunt for lost loot to display in their backyard Museum of Cool. Phineas and Ferb: Quest for Cool Stuff features many of the fan-favorite characters from the hit show, including Perry the Platypus -- aka secret Agent P, Candace, Isabella, Buford, Baljeet, and the evil Dr. Doofenshmirtz, who is determined to unleash his latest creation, the “get-rid-of-cool-stuff-inator” on the Tri-State Area. Exploration Mode: Switch on-the-fly between ambitious innovator Phineas and silent, but stoic "Man of Action" Ferb as they explore an ancient lost temple, underwater caverns and more in search of treasure! Action Mode: Transform Perry from subdued pet to super Agent P and battle the evil Dr. Doofenshmirtz. Original Storyline: Experience four intertwining episodes filled with witty humor and outlandish adventures. Museum of Cool: Display the loot collected inside including the lost Atlantis hieroglyph, caveman’s first stone wheel, floating baby head, and much more. 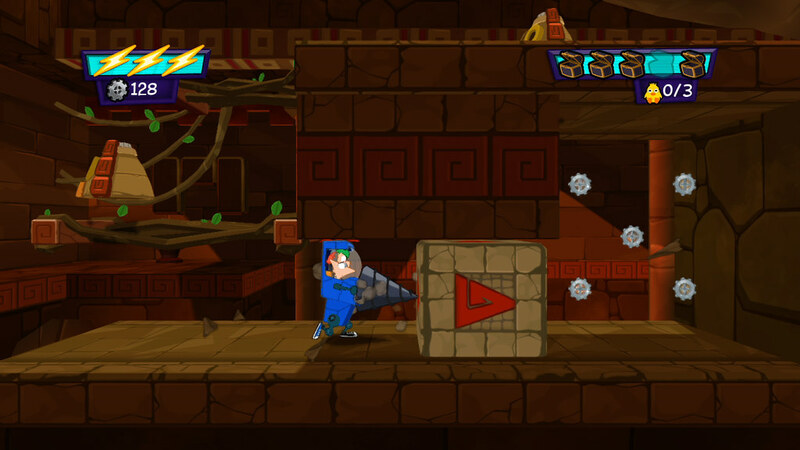 Phineas and Ferb: Quest for Cool Stuff is expected to release this August. For more information on the game, please visit www.MajescoEnt.com. Xbox, Xbox 360, Xbox LIVE, and the Xbox logos are trademarks or registered trademarks of the Microsoft group of companies. VANCOUVER, BC, April 22, 2013 – Chase McCain is known by the thankful citizens of LEGO City as a legendary police officer. But where did his story begin? Every legend has to start somewhere. LEGO City Undercover: The Chase Begins, available now exclusively for the Nintendo 3DS™ system, is a prequel to the well-received LEGO City Undercover game for Wii U™. The story is set two years before the events of the Wii U game and follows Chase McCain as a rookie cop trying to prove himself in LEGO City. Like any first day on the job, LEGO City Undercover: The Chase Begins starts off with Chase performing simple tasks such as retrieving doughnuts and looking for lost pets. But as the story progresses, Chase stumbles into something much more menacing: Different gangs start to cause trouble all over LEGO City, and it’s up to Chase McCain to put an end to their crime wave. 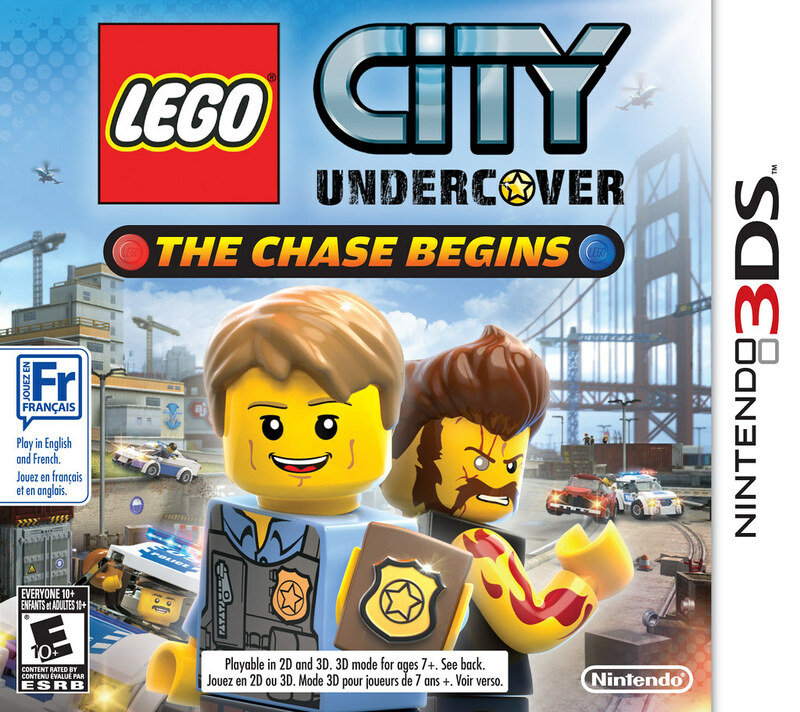 The story of LEGO City Undercover: The Chase Begins for Nintendo 3DS is based on the popular LEGO City play sets, and features various undercover disguises that Chase can collect and wear. These disguises grant him special abilities, as well as access to new areas in the game’s budding LEGO City. While investigating specific crimes in multiple missions, Chase will drive dozens of vehicles, engage in slick hand-to-hand combat with criminals and gather a wide variety of collectibles that can unlock bonus content. Using the StreetPass™ feature of Nintendo 3DS, players can even share collectible items such as characters, vehicles and postcards with other Nintendo 3DS users who also own a copy of the game. For more information about LEGO City Undercover: The Chase Begins, visit http://legocity3ds.nintendo.com/. LEGO CITY UNDERCOVER: THE CHASE BEGINS software © 2013 TT Games Publishing Ltd. Produced by TT Games under license from the LEGO Group. LEGO, the LEGO logo, the Brick and the Knob configurations and the Minifigure are trademarks of the LEGO Group. © 2013 The LEGO Group.